Waves is taking its already solid collection of virtual instruments and combining them into one package. With the Inspire Virtual Instruments Collection, instruments range from synth to a digital model of the piano that was used on Adele’s “Hello”. KNOXVILLE, TN, November 26, 2018 — Waves Audio, a leading provider of audio processing solutions, is now shipping the Waves Inspire Virtual Instruments Collection, which contains Waves’ expanding line of virtual instruments, including the just released Flow Motion FM Synth, combining the best elements of FM (frequency modulation) and analog-style subtractive synthesis in one powerful instrument. 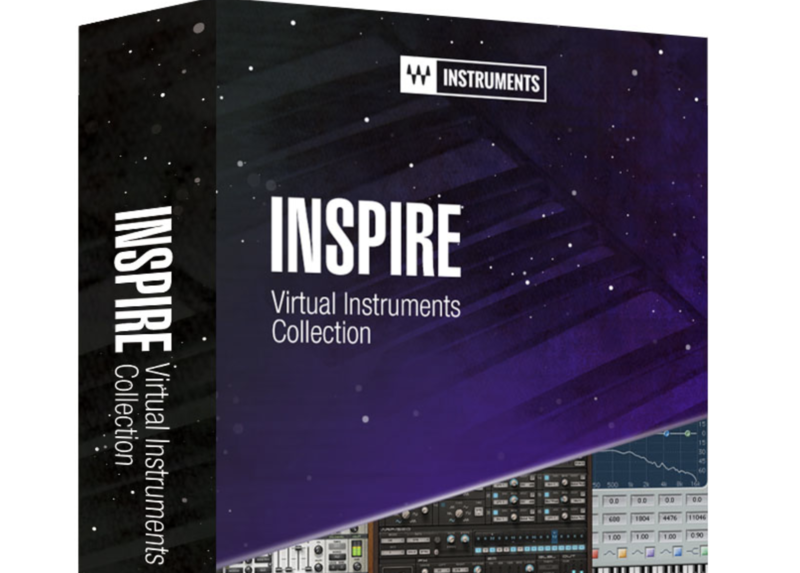 The Inspire Virtual Instruments Collection includes ten premium instruments perfect for the studio or live: legendary acoustic & electric pianos, stunningly realistic-sounding bass and cutting-edge synthesizers, putting these versatile sounds at your fingertips. Whether you are a producer, composer, songwriter, beatmaker or professional musician, when inspiration hits you, this collection serves you a hand-picked palette of classic keyboard instruments, innovative synths and moving bass sounds.